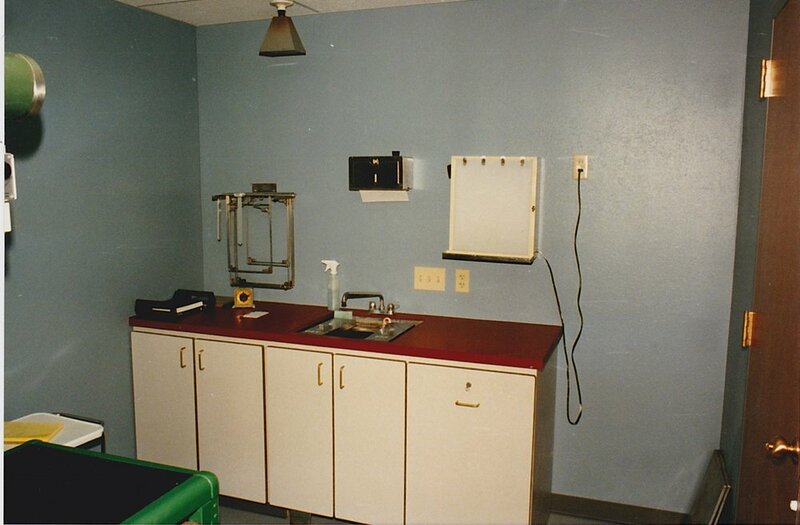 Dr. Ed Smith opened the original Smith Veterinary Hospital on January 1st, 1946, in its original location on Pen Road, about 3/4 of a mile northwest of the current location. 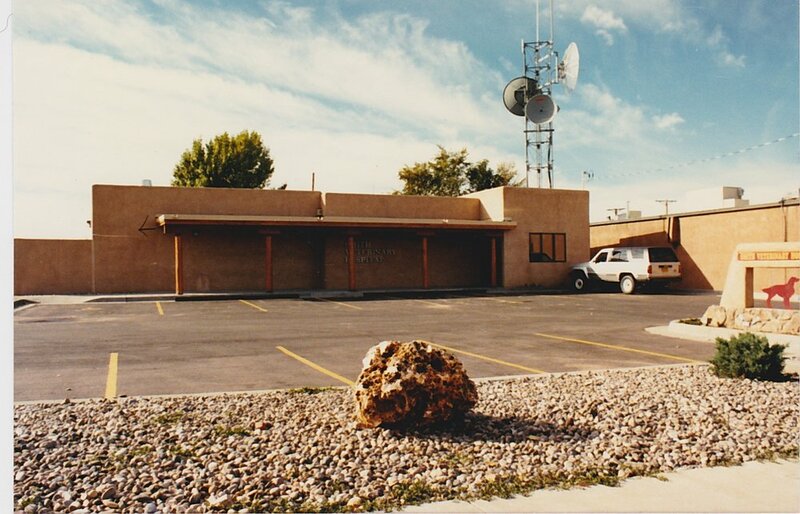 At the time, it was on the very outskirts of Santa Fe; today, it's in the middle of the St. Francis Drive and Cerrillos Road intersection- one of the busiest in the city! 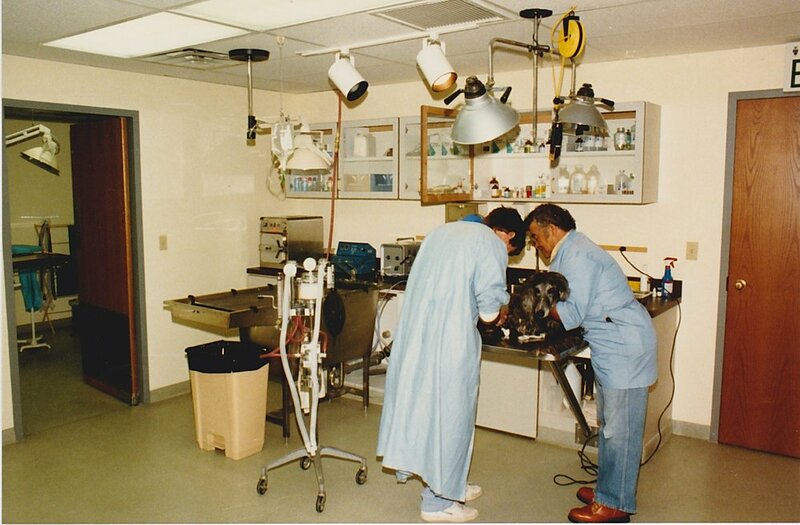 Dr. Smith practiced on both large and small animals and covered a large area that included Taos, Las Vegas, Estancia, and Chama. 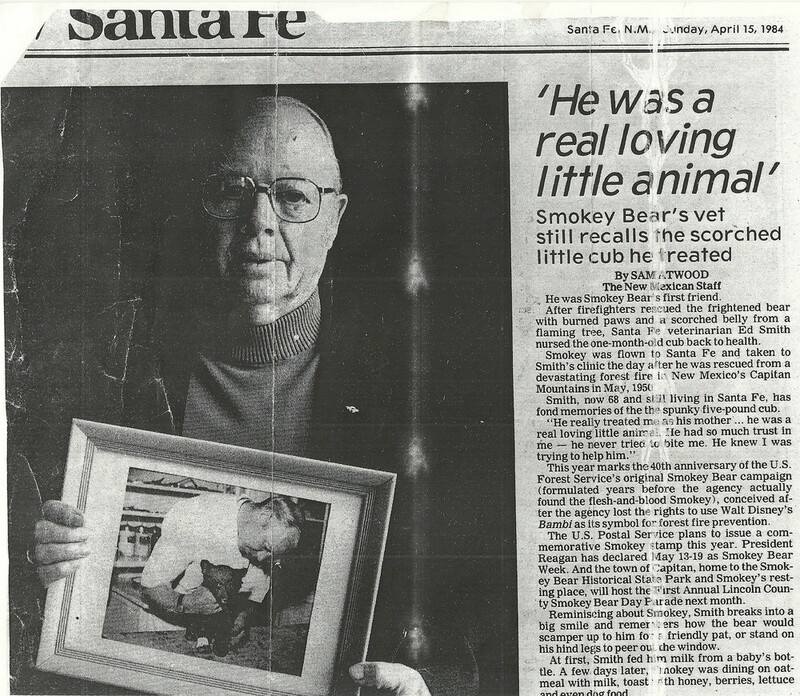 Dr. Ed Smith served as the state vet at Santa Fe Downs for eight years and was secretary of the State Veterinary Examining Board for ten years. 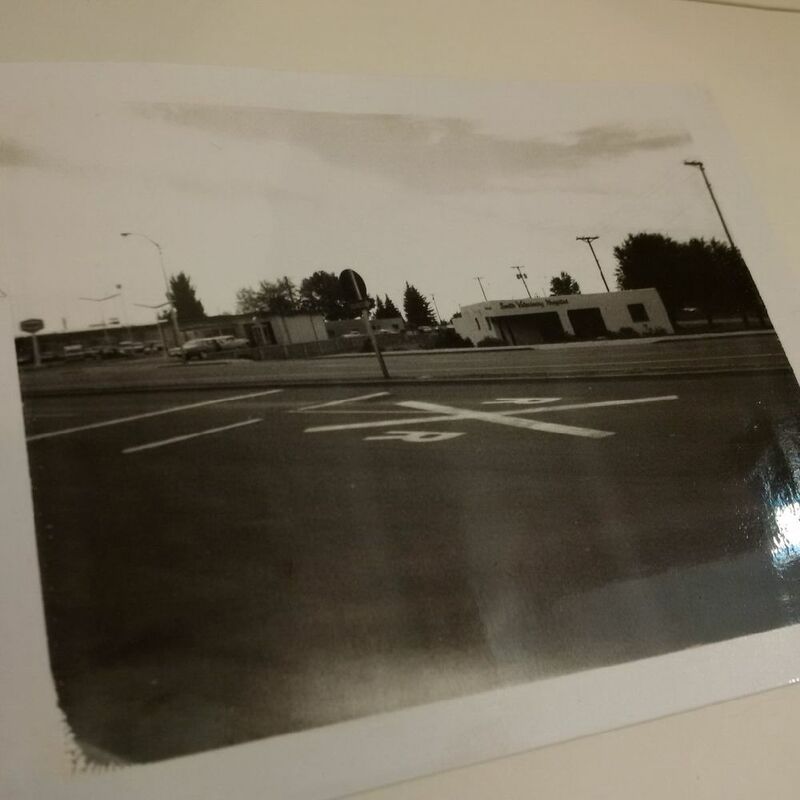 During that time, he helped establish the numbered license system in New Mexico. 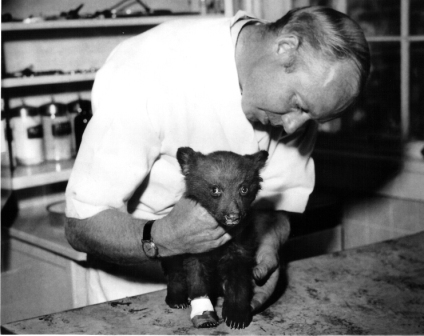 Dr. Smith treated the pets of several famous clients, including silver chow dogs belonging to Georgia O'Keeffe, but it was a bear cub that became his most famous patient. 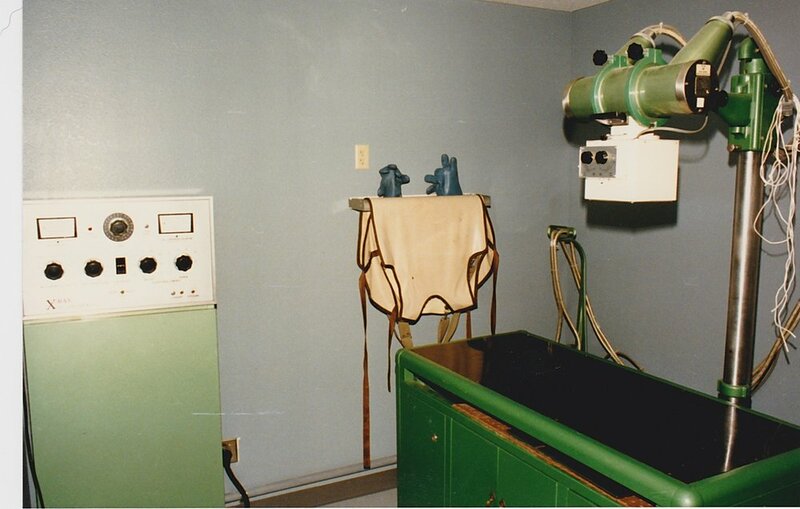 Smokey Bear was brought to Dr. Smith in May 1950 with burns on his feet and abdomen from a forest fire. 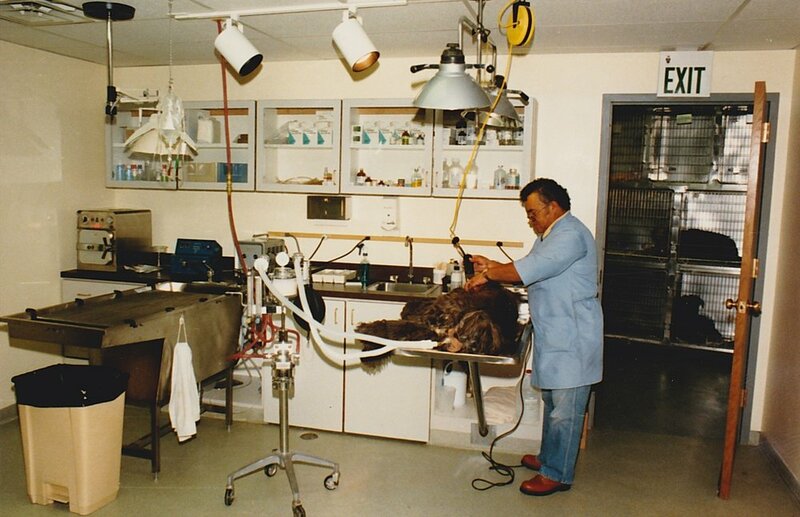 Dr. Smith nursed him back to health and later cared for Goldie, another black bear, who would later be Smokey's mate. 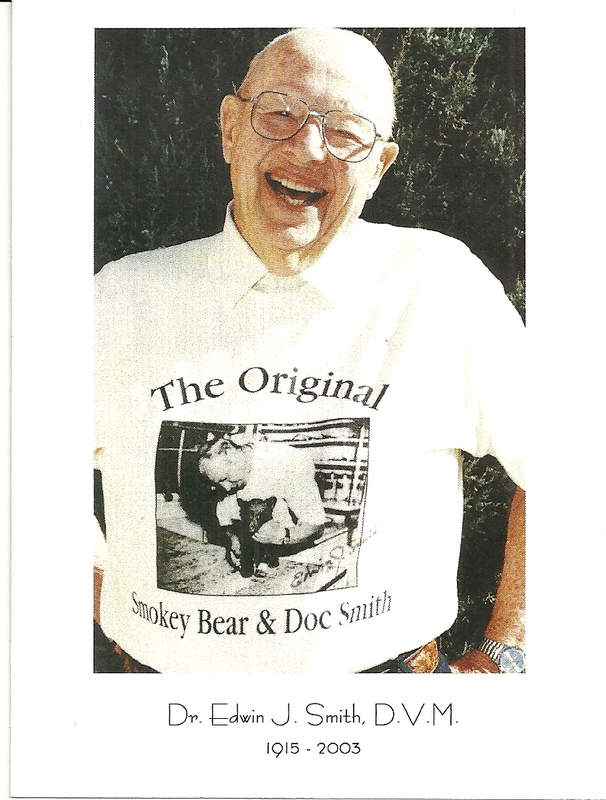 Dr. Tom Smith, Ed’s son, joined the practice in 1964, and later inherited ownership from his father. 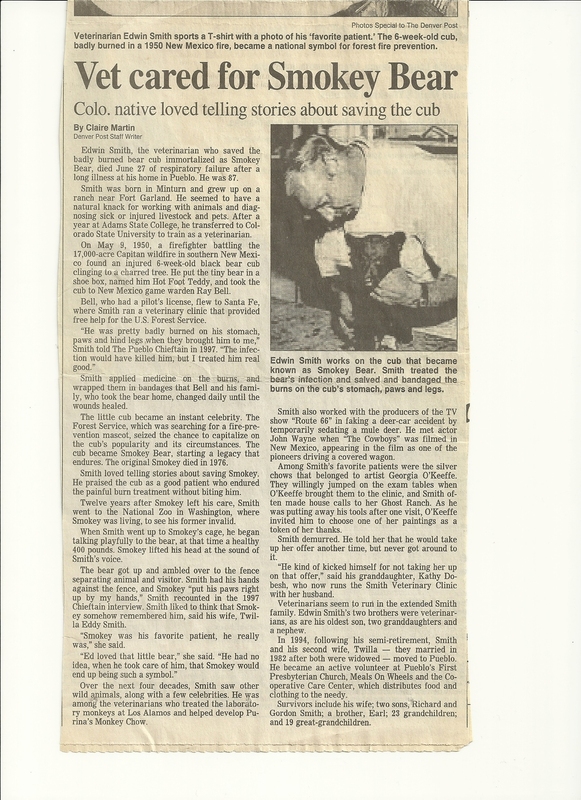 Tom Smith also served on the executive board of the State Veterinary Association for three years. 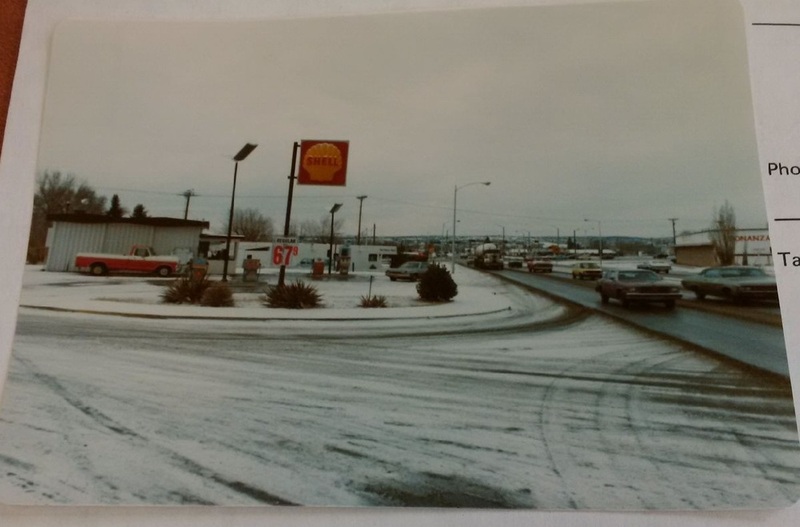 In 1987, the hospital moved from its Pen Rd. 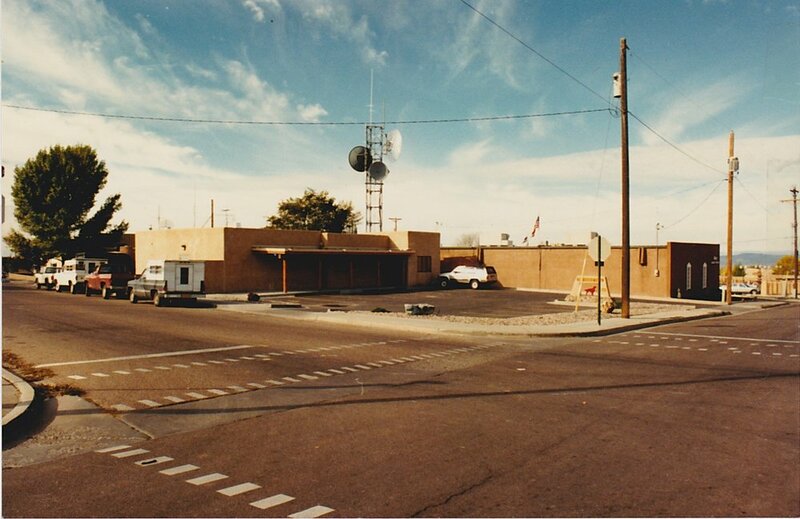 location to its current location at the intersection of Alta Vista and Luisa Streets. 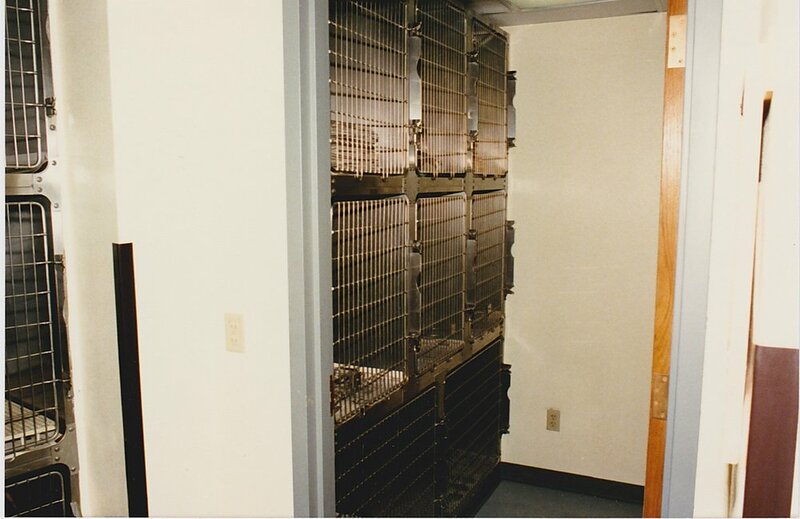 Check out the images from the early years in that location! 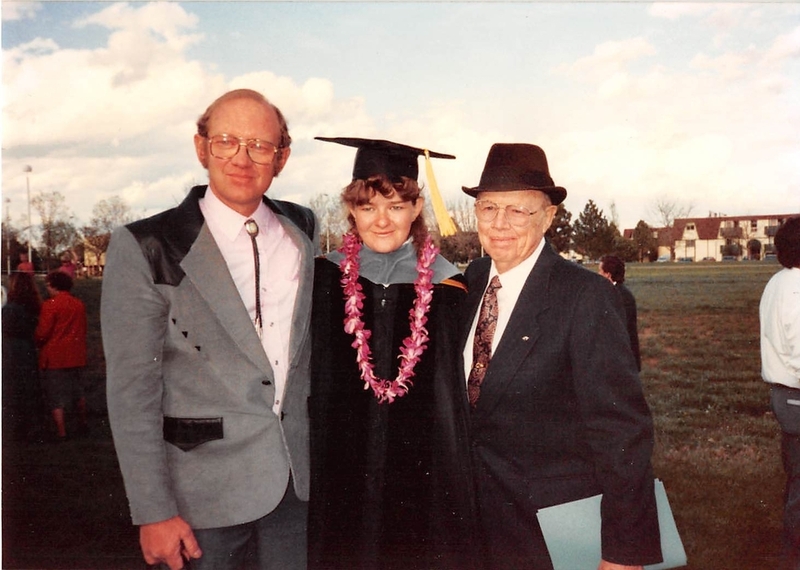 Dr. Tom Smith's daughter, Dr. Kathy (Smith) Dobesh, and her husband, Dr. Mike Dobesh, joined the practice in 1990 and the practice was passed down to Drs. 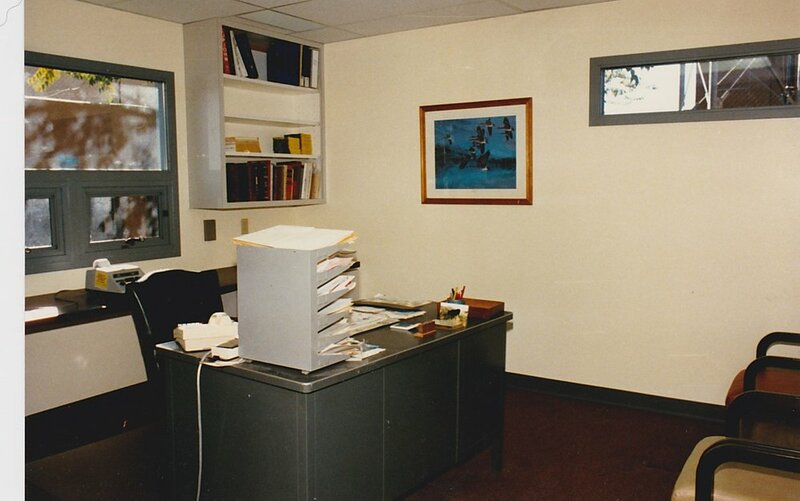 Mike and Kathy Dobesh when Tom Smith retired in 1995. 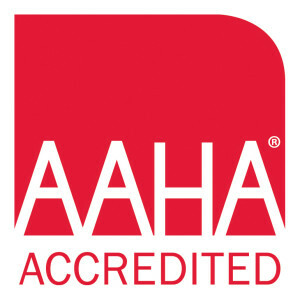 The hospital gained AAHA accreditation in 2004. 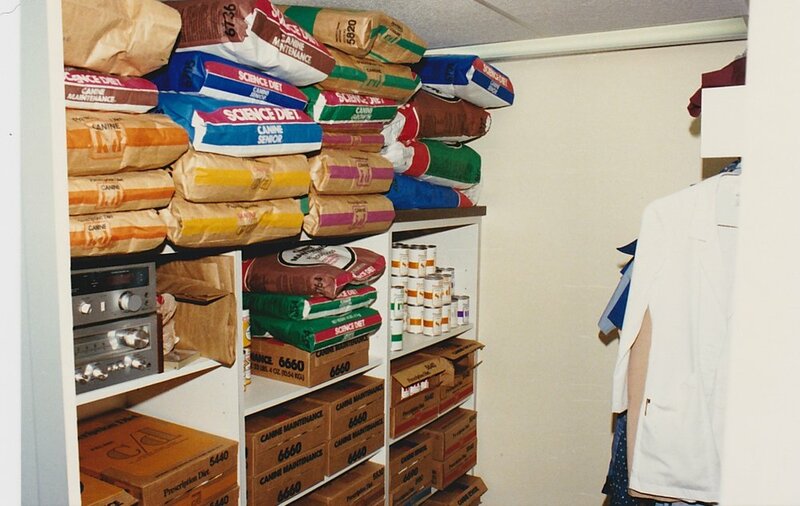 Dr. Kathy Dobesh is on the New Mexico Veterinary Medical Association board of directors. 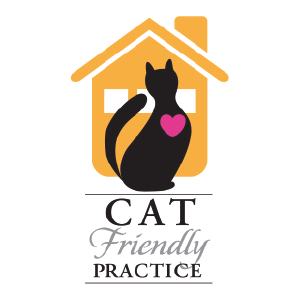 Smith Veterinary Hospital has been serving the animals of Santa Fe and the surrounding areas for more than 70 (!) years. 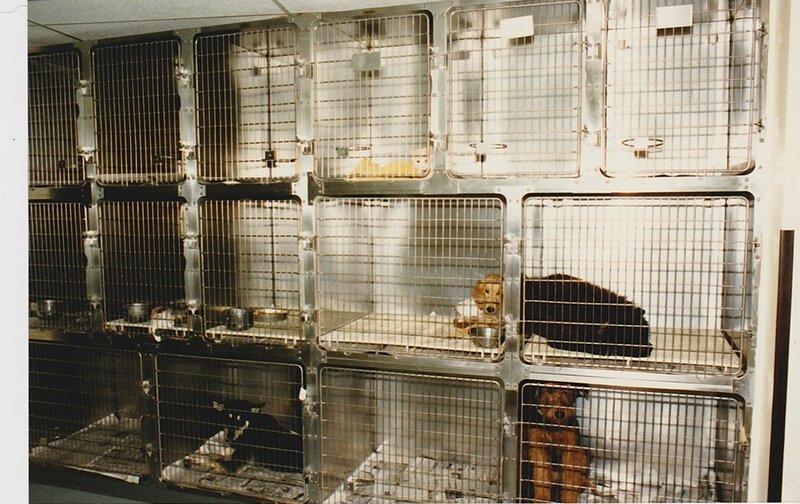 Through the dedication and support of animal lovers, the hospital will continue to provide excellent animal care well into the future.